I Start Each Day with a Prayer to the Goddess! Blessed be my little witch. 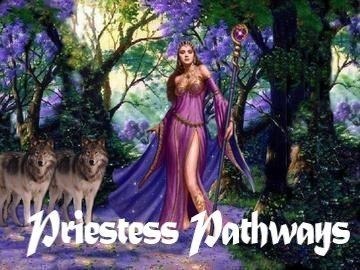 To those who came before and those who will come after, know that the Goddess is with you always. Don*t Forget to Get Your Week-End Witchin*s! 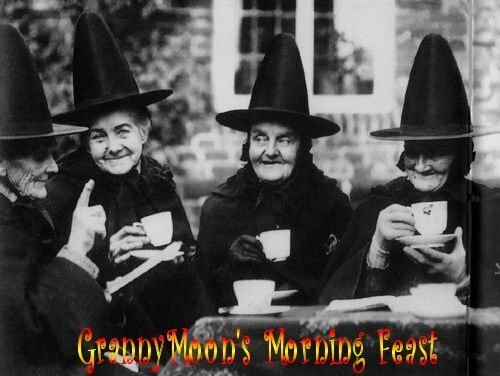 Newsletter from GrannyMoon! See you on the Week-End!!! GrannyMoon Says, “It’s April”: April gets its name from the Goddess Aprilis, who is the Romans’ version of Aphrodite. Her name means “to open”, which is exactly what Aprilis does…she opens the path to playfulness and the way to personal enrichment. We all know the rhyme “April showers bring May flowers.” So consider what energies you want Aprilis to sprinkle on you this month for personal flowering. Overall, any magical efforts aimed toward growth, love, pleasure, improvements, and developing one’s inner child will benefit from working during this month. April! Golden girl of the year, clad in the newest shade of green with meadow skirts strewn with every color and cradling nests of baby birds close to your breast. Your jewels sparkle in the morning mist, long strands of dew drops draping the fence rows and turning to emeralds and rubies in early morning light. Tears come easily but you are often laughing as you move through a range of temperatures that gives the human spirit reason to celebrate. You are adored, sweet girl of spring, for life the way you serve it. Wednesday’s child is full of woe.” Woden..is the day of Mercury, the messenger of the Gods, the communicator and bringer of news. However, he is also a joker and a thief so beware of this aspect. His color is orange or light blue and his metal is quicksilver or mercury. Wednesday is a day of communication,change,cunning,and the arts.n Irish and Scottish Gaelic, the name for Wednesday also refers to fasting, as it is Dé Céadaoin in Irish Gaelic and Di-Ciadain in Scottish Gaelic, which comes from aoine, “fasting” and means “first day of fasting”. Waxing, Gibbous Moon Age: 12 ¼ days. Ascending Node is at 9° Libra. also in 25th deg. of the Constellation Leo, the Lion. Moonset: 5:22 morn. Moonrise: 5:01 eve. Souths: 11:34 eve. Waxing Gibbous — when the Moon is more than one-half but not fully illuminated by direct sunlight while the illuminated part is increasing. Aspects of Virgo: Yin, Feminine, Lunar, Negative, Nocturnal, Earthy, Mutable, Barren, Horary Southern, Summery, Boreal, Commanding, Double, Double-Bodied, Dual, Bicorporeal, Human, Dry, Vocal, Cold. Spells and rituals involving the Earth element should be performed when the Moon is in an Earth sign: Taurus, Virgo, Capricorn. Waxing Moon: Symbolic of growth, manifestation, attainment, gravidity (heavy with child – both philosophical and literal). 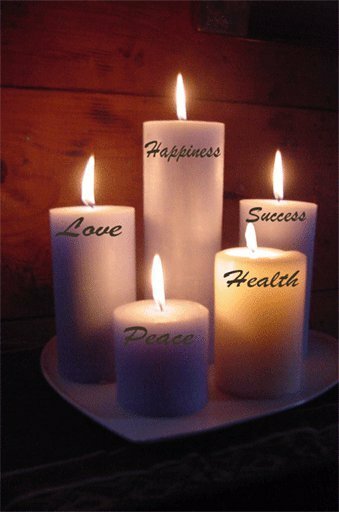 Success, Courage, Friendship, Luck Or Health.) Starting New Ventures, New Beginnings, Love, Romance, Health Or Job Hunting. Full Moon falls on Saturday, 04 April, 2015 at 8:07 AM: Seed/Pink Moon The Seed Moon signals a time of fertility, growth, and wisdom. This Moon is also known as the Egg, Sprouting Grass, or Pink, Fish, or Wind Moon. This is the time to sow the seeds of Magick. If you are planting a magickal garden, you want to get out there now and put things into the Earth. This is the time to move from the planning phase into action. If you want to get pregnant, this is a great time to go for it. Fertility is in the air. This is also the time to bring that new puppy home, it that is what you have been planning. It’s also a great time to empower the seeds. which answer to the phases of the moon. Hecate: the moon before she has risen and after she has set. ~Brewer, “Dictionary of Phrase & Fable”. also known as Frons Leonis, The Face of the Lion. Marked by the fix’d Stars: Regulus & the Sickle, in Leo. Sunrise: 6:53 morn. Sunset: 7:31 eve. Length of Day: 12h. 37m. Dawn: 6:26 morn. Dusk: 7:57 eve. Length of Twilight: 0h. 26m. Witches Affirmation Of The Week! One who transforms energy for the good of all. You are hot! You can transfer energy and channel healing power in one fell swoop! Being direct and passionate this week, go after what you want! No fear! Get in touch with your “inner witch”, using your magic and intuition in all you do this week! You have boundless energy to make, to do, to travel and to entertain! From birthday to birthday! A guide to help you understand the opportunities and issues you may face in the coming year! And Some Not So Ancient! Feast of Fools: In honor of the Asatru God, Loki, the trickster. April Fool’s day is derived from his festival day. 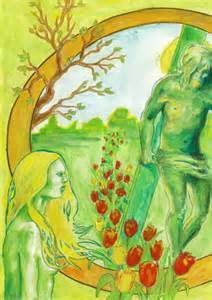 Festival of Peace: A two day festival dedicated to Aphrodite, the source of the word “April”, celebrating the power of love over might. Festival of the Sky Goddess: The first day of a major four-day Egyptian festival honors Hathor, the Sky Goddess whose cow horns embrace the Sun. Goddess of Peace VS God of War ~A festival celebrating Venus vanquishing Mars with love. Festival of Kali in India. The Fortuna Virilis of Venus in Rome. Day of Hathor in Egypt. Apparently similar pranks were pulled in England. “Yesterday being the first of April, several persons were sent to the tower Ditch to see the lions washed,” reports Dawks’ Newsletter in 1698. Sometimes the person so fooled is known as an April cuckoo. In France, the fool is called an April fish. People send joke notes signed with the symbol of a fish and try to surreptitiously pin (paper, I assume) fishes to each other’s asses. The origins of April Fool’s Day are unclear although it may have something to do with the confusion caused by the change of the calendar. The New Year used to be celebrated on March 25th until the eighteenth century. Those who got confused and still celebrated New Year in April were considered April Fools. April Fool’s Day has similarities to many other festivities during which people are encouraged to act foolish, for instance the Medieval Feast of Fools, which took place on December 28th, or the election of a Lord of Misrule on Twelfth Night or the license and role reversals of Carnival. Notice that most of these also happen in this liminal period between the end of one year and the start of a new one. According to the great cookbook encyclopedia, Larousse Gastronomique, April Fool’s day began in 1565 when the French King Charles IX issued a decree stating that the year would begin on 1 January rather than 1 April. To protest this unpopular change, people began sending each other worthless presents as New Year’s gifts on April 1st. As the sun happens to be in Pisces on this date, the gifts became sweetmeats in the shape of fish. In France, it is traditional to eat chocolate, marzipan or sugar fish. In Alsace, cakes are molded into the shape of fish. However, according to Blackburn, the April fish is the mackerel, which is most abundant in this month, and the French term maquereau also means “pimp.” The term poisson d’avril was a term used for anyone who served as a pander or go-between in a love affair. Sarah ban Breathnach in the identity of her alter ego, Mrs Sharp reports that her family goes on outings, has a treasure hunt and enjoys a dinner of faux dishes like mock turtle soup, hedgehogs and April fool for dessert. They also switch roles with the kids acting like the parents and the parents like the kids. Other role reversals that might be fun on April Fool’s Day: wife and husband, teachers and students, male and female, boss and employees. Venus Verticordia – This Roman festival was consecrated to Venus Verticordia (the Heart-turner), “Goddess of Beauty, Mother of Love, Queen of Laugher, Mistress of the Grapes.” At the temple of Venus, women washed Her statue, replaced her golden necklace and other jewelry, and offered Her roses and other flowers. Women bathed in myrtle and scented water and wore crowns of myrtle. Ovid says Venus requested them to bathe beneath the green myrtle. English folklore says myrtle won’t grow unless planted by a woman. This day was also called Fortuna Virilis, meaning “Men’s Fortune.” By classical times, it was interpreted as “Luck with Men,” for which women of the lower classes prayed to Venus in the men’s baths. Pantaogong (Trained Peach Temple) On the first three days of the third lunar month, the Chinese honor the Mother of the Western Heaven. Normandi Ellis suggests celebrating this festival which occurred on the first day of the Egyptian month of Payni at the time of the new moon in Aries. It was one of the most important festivals in Egypt. The legend says that when Sekhmet, the Lion Goddess, was roaring with rage and about to destroy all of humankind, Thoth tricked her into believing wine was blood and the wine was so intoxicating that she lay down and began purring and was transformed into the gentle Cat Goddess, Bast. Whereas Sekhmet was associated with the sun, Bast is linked with the moon. Bast is usually pictured as a woman with a cat’s head surrounded by kittens. She rules over festivals, intoxication, motherhood, sensuality and all the arts. The city of Bubastis, the capital city of Bast, was also the wine capital of ancient Egypt and drunkenness was an important part of her festival. Herodotus said that more wine was consumed in Bubastis at the Festival of Bast than at any other time of the year. People also feasted on honeyed breads, raisin cakes, pomegranates, figs, roasted fowl and meats. People came from all over Egypt for this festival and spent days dancing, making music, singing songs, telling jokes and making love. The sistrum is the musical instrument associated with Bast. It was considered an emblem of love or an awakener of fertility. April will feel a lot more peaceful than March, and the first half of the month is more energetic than the second half. Still, although the signature of the heavy Uranus Pluto square of March briefly echoes, the prevailing overall energies are less turbulent. Only Mercury, Venus and the Sun change signs. Pluto turns retrograde and Jupiter turns direct. A Lunar Eclipse of the Full Moon in Libra on the 4th is an occasion for assessing relationships, eliminating what is not working and enhancing what is. The Moon symbolizes the subconscious. To take advantage of the eclipse energy seek to better understand what is or is not working in relationships on an unconscious level. Meditation can be helpful. The Sun squaring Pluto the next day help facilitate transformative action. The New Moon in Aries on the 18th sheds light on anything recently begun, how it’s working, and whether it’s still viable and growing. give what is working more energy over the next two weeks. As Cardinal Aries energy gives way to Fixed Taurus energy, time for planting ends and time for tending increases. The New Moon moves from Aries into Taurus within 2 1/2 hours, and emphasis becomes strong on maintenance. Jupiter’s direct station beginning its forward motion on the 8th may facilitate delivery of delayed benefits. Pluto turns retrograde on the 16th taking it further from Uranus as it moves forward. Whatever changes have been put into motion by the energy of their earlier dance can now be ramified, stabilized, or built upon. The last two weeks of the month bring opportunities to strengthen perception, review and strengthen choices, and grow stronger within ourselves. Days to be especially mindful include 4/5 as Sun square Pluto says go slowly with painful changes; 4/7 as Mercury square Pluto cautions to be sure and thoughtful rather than impulsive; 4/16 as Pluto turning retrograde can bring intense energies to the fore; 4/17 as Mars squaring Jupiter warns against excess, of spending or of consumption; 4/18 and 4/18 as Venus square Neptune warns against making bad choices as a result of illusions and delusions. Days for positive action include 4/2 as Mercury trines Saturn, helping smooth important communication; 4/6 as Mercury trine Jupiter and Sun conjunct Uranus increases positive energies for creativity and personal growth; 4/8 as Mercury conjunct Uranus inspires innovation, Jupiter stationary direct brings rewards; 4/9 and 4/10 as Mercury trine Sun speeds communication, 4/21 as Mars trine Pluto enhances energetic activities, 4/22 as Mercury trine Pluto speeds positive change, and Mercury/Mars conjunction brings another energetic day. Wed. 4/1 Diligent Moon in Virgo, aided by Thursday’s aspects gets the month off to a good start. Thu. 4/2 Persnickety Moon in Virgo helps with detail work; exacting Mercury Saturn trine helps us focus. Sun trine Jupiter raises spirits. Fri. 4/3 Justice loving Libra Moon helps better relationships. Sat. 4/4 Peace loving Libra Moon gathers people for happy times. Lunar Eclipse clears the way for increased harmony. Sun. 4/5 Artistic Libra Moon beautifies the home. Later, Transformative Scorpio Moon with Sun square Pluto aids necessary changes. Mon. 4/6 Passionate Scorpio Moon with Sun conjunct Uranus helps us pursue unusual, innovative opportunities. Mercury trine Jupiter enhances generous thoughts. About Laufey: On this day of pranks and foolery, look to Laufey to show you how to hone your funny bone. As the mother of the great trickster Loki, if anyone understands and can teach the value of raillery and good-intended tricks, it is she! To Do Today: Spring’s upbeat theme continues into April, offsetting the rains with laughter. It it’s been a while since you really chuckled, consider renting a good comedy movie. As you watch it, light a candle and ask Laufey to join you! Laufey, in this stick of green, place a sense of humor ever keen. And when upon the stick I knock, bring to me a bit of luck. Trees Moon, Estermonath (Eostre Month), Ostarmanoth, Pink Moon, Green Grass Moon. this month Aprilis, a time of unfolding leaves and flowers. where they were told that a black meteorite embodying spirit of Cybele was. Rome. In about a year, left Italy forever. The Japanese Flower Festival has now become a celebration of Buddha’s birth. them Anat, Qadesh, Anait, Anahita, and Anatu. she was also connected with the Moon. delivering baskets of flower’s on May Day is a remnant of this old festival. flowers, and leave them on a doorstep. During this month was also the Incan Ayrihua or Camay Inca Raymi, the Festival of the Inca. Herbs: basil, chives, dragons blood, geranium, thistle. Scents: pine, bay, bergamot, patchouli. opportunities. Work on Temple and emotional flare ups and selfishness. Two New Moons in one month were said to predict a month’s bad weather. Any View Moon on Saturday and Sunday was said to predict rain and general bad luck. luck came from looking at the Moon straight on. A rain around the Moon means rain or snow. to hold down an additional night job. the smugglers fished up their goods and went on with their business. April 1: Festival of Kali in India. The Fortuna Virilis of Venus in Rome. April 5: Festival for Good Luck in Rome; the goddess Fortuna. April 11: In Amenia, the Da of Anahit, Goddess of love and the Moon. April 15: Festival of Bast in Egypt. Florialia in Rome; goddess of sexuality and Spring flowers. By April eve, the first stirrings of green emerge with the fairies, delighting us with tiny surprises in damp places. Periwinkle, a glossy evergreen vine, begins sprouting five-petalled flowers—lovely purple stars for the Goddess. Take a solitary walk today and notice small changes in the landscape. Breathe in the mossy scent of early spring, and see the world with fresh new vision. Look upon its small wonders with the eyes of a child. Being a Witch means more than learning to focus energy and power. It also means learning to listen, absorb, and renew through the subtle lessons in nature. So put down this book and take a walk, drinking in the wisdom of the Goddess and the Green Man. All Fool’s Day is a celebration of the rebirth of innocence revealed in the newness of Spring. Many mystic traditions talk of being “a fool for God.” Fools are often much wiser than scholars because they see through the eyes of a child and are not too “smart” to notice when the emperor has no clothes – even when the emperor is themselves! Great Goddess, thank you for the delights of a fresh spring morning and for the rebirth of innocence in my soul. May I let go of the jaded-mind habits of cynicism, conceit and pride that keep me a prisoner of the limitations of small mind. Take a few letting-go breaths and find the place of inner stillness. Open your eyes if they have been closed, and look around as if for the first time. Find an object and inspect it minutely with eyes, nose, hands, even tongue if appropriate. Pretend that you just landed here from another planet and have never encountered such a marvelous thing before. Today, whenever you feel bored or jaded, take a deep breath and look around with mindful curiosity. That would be a Goddess. Devi: The Goddess. that is not me, and nothing but me exists. All women are but manifestations of me. And I am the manifestation of all women. and we beg you to bring us virtue and richness. Who knows what the Goddess means? She has meant different things in different eras, in different cultures, to different people. She has been anger and rage as well as peace and fruitfulness. She is the totality of experience of each woman. And she is the divine, experienced in the form of and through the bodies of women. She cannot be limited to a single form, nor contained in a single body. She is more comprehensive than we can imagine. In meditating upon her vastness, we encounter it within ourselves. Birthday horoscope for today: Although most Aries like to live well, few view money as a measure of success. Actually, you don`t think about it until you need it. Your ruler Mars` move to accent such matters, on your birthday, changes all that. Events or, perhaps the need to justify certain arrangements to others, forces you to think carefully about whether you could use your resources more wisely. What you learn will be important now and could prove crucial over the coming years. If you`re born within cusp period (16 to 26 of any month); you`re advised to read horoscopes of both signs covered by that period. You`re in the border; you may have influences from both houses of those signs. Outlines are longer versions; consists of every possible details of today and based on three parts of each sign: 1st, 2nd & 3rd Decan; that is, any of three divisions of 10° within a sign of the zodiac. Epigram: You need some time alone to plan your next few weeks. While you may not be used to taking things so slowly, your energy is best suited for extremely detailed long-range planning that ensures that everything comes off as best it can. Write it all out — though you excel at seeing the big picture, sometimes the little things can escape you, and you definitely can`t afford that risk now. Outline: Pay no attention to irrational fears. If the odds are overwhelmingly in your favour, you should take a risk. Turn a deaf ear to news reports that try to create panic. Listening to such dire warnings will make you miserable. You`re a born adventurer who wants to see the world. Venturing into unknown places gives you a thrill. You also enjoy competing. Although a superior rival might outperform you, that`s a chance you`re willing to take. People admire your bravery. Words could pour forth, – either in written form or in long telephone calls. It may be necessary to amend a schedule or to agree a new routine. Tension in a partnership is probable as a result. There could be a problem either with language or with a time lag (or zone). Despite this another part of your brain could be busily engaged on creative or romantic activity whilst the purchase of a very special item could leave your heart dancing to a new tune. Finance: Getting upset is a choice. Just because things are going wrong with your chequebook doesn`t mean other things in your life are going south, too. Focus on what`s looking up. Career: Consider the parties involved in your biggest project. Someone in the mix thinks they have more authority than they really do, and it will be your job to correct the situation. Don`t be overly harsh but definitely stand your ground. Epigram: Your ego gets a well deserved boost from a confidence-building success or bit of praise, and it`s definitely coming at the right time, too — you can take on any delays or complexities without breaking much of a sweat. When you face all these challenges without mussing your do, some of your people are sure to ask how you do it. Tell them your secret! Meditation exercises and a willingness to look toward the future help you cope with any obstacles. Outline: Just because everyone is following a popular movement doesn`t mean you should. Continue to march to the beat of your own drum. Others might think your methods are strange, but after some gentle teasing, they will leave you alone. You`re suspicious of trends that claim to fix problems overnight. That`s because you have learned from experience that any worthy goal involves hard work and sacrifice. Fortunately, you are both patient and diligent. Yet another financial turning point could be reached. It may be that others have been too busy to focus on completing paperwork which they promised to resolve some weeks ago. Your understanding of their predicament could make a difference and result in the task being done. A younger person could show signs of irritation if you bombard them with too many questions. Your thirst for information might be quenched by spending time on the Internet. Finance: Don`t hide from how you feel. If making money stirs up deep emotions, it only makes sense that losing money does, too. Live life with intensity, even on the flip side. Career: It will be tempting to blow off the details until another time, but today is the day to take care of them and make sure everything adds up. You won`t be sorry when the final review comes in — you could be in line for a hefty promotion. Epigram: You can throw democracy right out the window — for now. Truly legendary leaders know that sometimes the best decision is the hardest decision — though it may not go down all that well with their citizens at first. Have courage and go ahead with what you believe to be the best choice for the long-term and you should get enough support to ensure that you stay President-for-Life. Outline: Be realistic about your professional goals. If your industry is drying up, transition to a rapidly growing field. Do you lack essential skills? Get additional training. Are you at a toxic company? Apply for work at an employer that treats its staff well. Dreaming about your ideal job is fine, but it can keep you from taking steps towards a healthier future. It`s hard to get motivated when you`ve been in a holding pattern. Make a single small move towards your goal. This will help you gain momentum. It might appear to others that you`re on a mission. It certainly could be the case that you want to defend someone from criticism. It might also be important to you to show that you are interested in the long term outlook that doesn`t yet appear to have been considered by those who dealing with an immediately pressing matter. A turning point in a close relationship could be reached when you show interest in the purchase of an item that is actually an expression of love. Finance: Some feelings make your whole body sing, and others are downright bad for your health. Yours are moving into the unknown range, so ignore the computer, the TV stock ticker and the Blackberry for the day. Career: Take greater care than usual to ensure that everything you do is fully vetted and approved by everyone in the chain of command. It won`t take up nearly as much time as you anticipate, and you`ll be rewarded with efficiency in the future. Epigram: You`re definitely in the mood for snappy banter, and luckily you`ve walked straight onto the set of a wacky comedy right out of the classic days of Hollywood. You and someone close are all about the repartee and the winking one-liners. Don`t be too surprised if all this wit takes a sudden turn toward the more serious — because with this kind of chemistry, is it any wonder you feel the need to talk about deeper topics? Outline: Someone you admire will fall from grace. It`s distressing to realise you were taken in by a charlatan. Instead of heaping yourself with shame, take a more balanced view. This situation could serve as a valuable lesson. In the future, you should be more circumspect about trusting charismatic individuals. While they may be funny and charming, they often have ulterior motives. Now you know what signs to look for, you can avoid a lot of trouble and heartache. Forewarned is forearmed. It`s probable that you really have taken on too much. By trying to please everyone or deliver quality service to those whom you are sure would appreciate your efforts, you may also be exhausting yourself. The artist in you could surface. A Libra or Aquarian friend may be anxious to help. Accepting their offer might give you extra playtime over the next couple of days. Finance: The time for caution is long gone. You got in over your head — involved with investments you were unsure of. Consider it a lesson learned, one you can mine for wealth in the not too distant future. Career: Poke around a little and see what facts you can dig up on that troublesome workplace situation. If you avoid direct confrontation and do your homework instead, you`ll win big. Just be sure to keep it to yourself until you have a better grasp on the issues at hand — rumours are toxic. Epigram: When it comes to love, be open to anything. Recent developments have convinced you that you`re better off alone for the time being, but a breakthrough is coming for sure. Its impact is memorable, but might also mold the next week with its daring, exciting energy. Be patient with yourself that remember that the best things in life are worth waiting for — especially when it comes to romance. Outline: Don`t give others a free hand with your finances. You should keep your personal information under lock and key; never give your password to others. If someone asks you to guarantee a loan, politely refuse. Money and friendship do not mix. Do you have an irresponsible relative who continues to run to you for help? It`s time to cut off their supply. Continually coming to their rescue will just reinforce their bad habits. It`s time for them to take responsibility for their actions. A culture clash could leave you feeling out of sorts. You may need to make it clear both verbally and perhaps in a contract what you expect. Though it`s likely that a deal will be reached, the process might not be entirely smooth. Contact with an insurance company is likely. It`s probable too that you`ll spend extra time on the phone obtaining estimates. An arts event that you`ve looked forward to for some time could be enriched by the presence of someone whose understanding of the artist is considerable. Finance: Things may look bleak on the surface, but take comfort in looking deeply at the issues. If you`re not in any hurry to sell, then today`s numbers should activate intuition, not panic. Career: You may feel overwhelmed with your new project, but it`s only because you`re still adjusting to its requirements. Once you`ve integrated it into your routine, you`ll find that it`s just as easy as anything else on your plate. Epigram: Thanks to the calming influences affecting your personal energy, you`re one of the few people you know who is able to think clearly for now. Use that brain to free yourself of shady people and their even shadier offers, no matter how awesome they may appear at first. Big risks might seem fun — or even romantic — in pop culture, but you know that in real life, it usually ends up being a lot more trouble than it`s worth. Outline: When you encounter problems in your relationship, your first impulse is to become silent. Unfortunately, refusing to discuss the issue will only make it worse. Learning the fine art of healthy confrontation is critical. Try not to broach the subject when you`re extremely angry. Modulate your voice so your partner doesn`t feel attacked. Give specific examples of how their behaviour is affecting you. Be open to discussing solutions. The most successful friendships are based on mutual respect. You may feel you`re being dragged by a team of wild horses. The enthusiasm of those born under Aries, Leo or Sagittarius could be such that it`s hard to restrain them. Involvement in a marketing plan or public relations stunt is possible too. At a slightly different level you may be struck by someone`s choice of dress. Whilst this might not be power dressing exactly, it could have the effect of causing someone from outside your usual working sphere to treat this person differently. Finance: Your left palm is itching. Making easy money is an unrealistic goal in today`s economy, but making some money is not. The hard work comes in handy for soothing your restless feelings. Career: You deliver better service than just about anyone in your industry at the moment, so try to find a better way to take orders from the people who pay your bills. They will be delighted with your performance and will want to reward you commensurately. Epigram: You might want to change your cell number or e-mail address in order to get a little privacy and relaxation. Everyone knows that your parties are legendary, and they want on the guest list. At work, your bosses know full well that when it comes to getting people organized and motivated, you`re the right person for the job. Though you adore being in such high demand, it`s past time for you to reject at least a few of these requests, just to maintain your sanity. Outline: You`re not in the mood to spend much time on your appearance, due to sheer exhaustion. Although you don`t have to go to extraordinarily lengths to look well, you should try to be neat and presentable. The last thing you need is to make a bad impression on a would be employer or client. If you`re too tired to move, it may be best to take the day off. Give yourself a chance to recuperate from all the stress you`ve experienced at work. It could be a case of the pot calling the kettle black. You may think that someone`s being headstrong, when they may think that you are being particularly bloody-minded. The chances of pulling against others is high. For some this could even lead to legal dispute. Fortunately, a compassionate aspect is also of work. The probability is that by the end of the day you`ll be happy to co-operate and to devise a strategy that is workable. Finance: Things are changing in the business world, and the effects are running deep. Even you as an individual can feel them. It`s the wrong time to be acquisitive, but oddly, not the wrong time to be generous. Career: Everyone counts on you to be outgoing and push the envelope in the midst of collective timidity, but at the moment you are feeling the need to keep your actions quiet and conservative. Your natural reserve will pay off handsomely. Epigram: Are you feeling somewhat underappreciated recently? That`s perfectly understandable — you`ve been working yourself to death and not giving your people the chance to reply in kind. Have a little more confidence in your friends and they should come through — and remember that you`re worthy of support! When you learn to give them the chance to be generous, you may find yourself getting more attention and support than you could hope for. Outline: A creative block is driving you to distraction. The more you try to break through, the harder it will be to get an idea. Turn your attention to routine work like cooking, doing laundry or sweeping the floor. Mindless motions will let your guard down and let your subconscious run wild. Just when your mind starts to wander, you`ll hit upon a brilliant solution to your problem. Make sure to write it down before you forget. Lightning rarely strikes twice in the same place. It might seem that others are all over the place and don`t yet have a coherent plan of action in place. Your sympathy could be stretched. It may be obvious to you that some matters could have been resolved last week. A shopping trip could be made urgent by the need to find an item that`s in some way connected with water or the sea. This could be anything from a bathing outfit to a tap washer. Finance: When money was seemed to be attracted to you like metal to a magnet, so were people. Don`t be surprised if they`re suddenly nowhere in sight. Money isn`t everything, but sometimes it takes losing it to learn who your real supporters are. Career: You`re discovering a whole new area of work that needs your magic touch — that`s why your talent for organization has never been handier. It won`t take long to get yourself and everyone else up to speed, and the results will be striking. Supervisors will like what they see. Epigram: If communication has hit some kind of wall, it`s not all that surprising — it`s been looming for a while. Ignoring it is sure to make it worse, though that is probably your first instinct. Though you may feel that you`ve reached some kind of resolution, a deeper issue is festering and stressing you both out. Express your feelings, and you should discover a new level of openness that was previously closed off by all that was left unsaid. Outline: A relative doesn`t have the capacity to make good decisions. You`ll have to take responsibility for their wellbeing. This will cause a rift in the family, but it can`t be helped. You`d rather be accused of being selfish than see your loved one come to harm. Making an unpopular decision is always difficult. Turn to a kind friend who has been through a similar situation. Being able to talk to someone without fear of censure will be comforting. Deep down inside, you know you`re doing the right thing. Whilst some might think you`ve left it too late to take a strategic approach, your timing could be a perfect. Quick deals could be arranged and agreed – leaving some people astounded by your ability to turn around situations. It might seem to some that you have a magical touch. In unwinding, there is danger of you going over the top and playing too hard – which could mean overindulging and suffering later. Perhaps your best minder will be a friend born under Gemini or Aquarius. Either could have your best interests at heart. Finance: Looking at your bottom line just makes you want to run and hide. Don`t — being alone is the perfect way to let your active subconscious get the best of you. Don`t look at details, so that you can focus on the big picture. Career: You will have no problem absorbing all the details of the work in front of you, but that may not be the case for everyone on your team. Try to be patient with any co-worker who is having a hard time — you will be able to explain it in terms they can understand. Epigram: Your big brain is showered with a huge dose of assertive energy as the universe helps you focus on work and responsibilities. This new synergy is amazing to behold, but the potential for burnout is getting higher! If you want to avoid it, keep your eyes open, and make sure not to overload on coffee. Remember that your mind (and body) needs breaks every now and then, so make sure to stick to a schedule. This way, you can make the most of your abilities without burning out. Outline: Someone will ask your opinion and you will be embarrassed to answer. Be as diplomatic as possible when delivering a negative review. No matter how constructive your criticism, it may be taken in a negative light. It`s better to be honest than deceptive. You take great pride in bestowing compliments on people who deserve them. Heaping praise on those who need to do better puts your taste into question. Maintain your reputation but prepare for reprisals. Some people can`t take the truth. It might suit you to take an almost regimented approach to a series of tasks needed to be tackled before the end of next month. True, this approach could be a source of mirth for some people. It`s probable though that these are the very individuals who attract chaos and who don`t have crisis management skills to call on. Where you score is in your ability to pace yourself and to see deadlines for the negative concepts they can be. Finance: You`re too close to be objective. Looking at all the details in this case means backing up. Further, further, further … you get the picture. Only when you have some distance will it be a good day for decision making. Career: Your ability to forge intense connections with clients and customers is unrivalled at the moment, and you might surprise them with your ability to see their needs and interests even before they do. Keep building on what you have. Epigram: A great financial possibility is linked with foreign travel and your future success, so be alert regarding any chances for travel, either on the job or on your own. When thinking of future opportunities, practice deep respect without giving in to alien ways of thinking. Since you refuse to fit anyone`s ideas about you is vital to your success, being true to yourself helps you take risks that others miss. Outline: Be practical about money matters. Although you want to make a donation to charity, you have to pay your own bills first. Being a good steward of your resources should be your first priority. If you want to give back to your community, donate your time. Working at an animal shelter or food bank is a great way to satisfy your philanthropic impulses. Don`t worry; you will soon be able to make financial contributions to charity. Right now, you have to tighten your belt and be realistic. You could be accused of showing off. It`s possible though that you are radiating confidence. It may be that your romantic life is changing direction for the better. Your generosity could be noted also. Your relationship with someone who has to wear a special outfit at work might go through some tense moments, but by the end of the day be improved immeasurably by your greater understanding of penalties they could incur if they fail to work in a certain way. Finance: Your accounts may have slowed down, but the rest of your life doesn`t have to. Focus on something other than career ambitions. Put all of your deep feelings into being socially useful. Career: You will look better and better to recruiters and potential employers — but also to those on the inside who can give you a hand up. It`s a great time to look around and check for opportunities you may have missed. Epigram: Try not to take that loved one`s criticisms too personally — see if you can ignore the words and look only at actions, which should be much more encouraging. Take a look at the long haul and be patient with them. If you can ride out this rough patch, you should be set in for smooth sailing for a good long time. If ill-conceived statements keep coming your way even after this is all over, you need to have a heart-to-heart and let them know how much it bothers you. Outline: Resist the temptation to be too soft on yourself. If you continue to fall short of the mark, it`s time to change your approach. Work harder, make sacrifices and get more practice. It`s the only way to fulfil your potential. Pattern your behaviour after an accomplished person who refuses to accept second best. By pushing yourself, you can reach heights you never dreamed possible. Don`t be surprised when people who used to see you as a joke start being more respectful. It`s just possible that others are slightly fed up with your style. Though some might admire your ability to mix and match clothing, as many could be exasperated with the fact that you start so many things yet finish little. A Sagittarian (?!) particularly might request that you focus your energies in one direction. The poet or romantic in you could surface – which could have benefits for your love-life. Career: Hold on to your criticisms and gripes for the time being. You have bigger issues that must be addressed as a group, and you can`t risk alienating anyone. Return to the problem when you can safely let loose and air your true concerns. 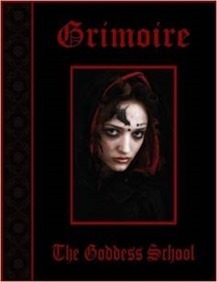 GrannyMoon is Founder and Mother High Priestess of GoddessSchool, Sisters of the Burning Branch, dedicated to the Feminine Divine, which is celebrating it’s 15th year! Former staff member and student of the Esoteric Theological Seminary, LDS Seminary and is an ordained Metaphysical Interfaith minister with doctoral degrees in Theology and Divinity. Doula, Reiki Master and Lifetime Member of Herbal Healer Academy, Inc. Former VA State Representative A.R.E.N. (Alternative Religions Educational Network.) We offer an on-line and off-line community for women, including workshops and retreats. Join our Order of the Black Hat, we meet face to face once a month! DISCLAIMER: Submitted In The Spirit of Fair Use! 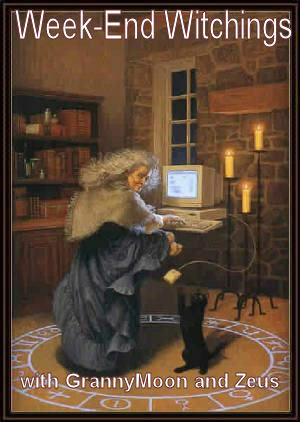 This is how we weave our web, what if witches had never shared their knowledge …… where would we be? Right back where we started from…in the broom closet!!! Please do consider checking out the sources and products mentioned here and purchasing them. Either through the Morning Feast (that is really appreciated), through their website and/or directly from the author! I do not claim to have made any of the graphics or written the articles that I send to this list. They come from a wide variety of sources and submissions. Any infringement of said copyright is non-intentional and will be rectified upon notice and proof of ownership. Please feel free to share this work in it’s entirety…but please do give credit where credit is due and link back to the author (if available) and to GrannyMoon’s Morning Feast!